CRM is a neuro-biologically based extremely effective, powerful and ground-breaking trauma treatment model that brings lots of flexibility and creativity and was developed by Lisa Schwarz in the USA. CRM allows clients to be educated and equip themselves with resources that help them to drop into their deep body felt senses that lead them to where the trauma is seated that interferes with their normal functioning and keeps them from achieving their full potentials. By being patient and fully attuned to clients’ process without any interpretation or assumptions I assist clients to remember, re-process and release their traumatic memories from their nervous system. This process slowly breaks old patterns of often destructive behaviour where new perception and truth of life emerges and provides the opportunity for growth. 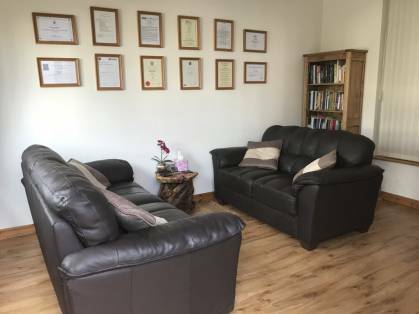 Time after time clients’ feedback is that CRM has taken them to places where they have never been before during other types of therapy, it taught them to be attuned to their body while also processing deep unpleasant, scary and painful material. CRM helped them to be mindful of their needs while finally achieving a deep healing that allowed them to put their old wounds and horrible experiences in the past. Therapy fee: £60 per hour.